RUSH: I’m just watching Chuck You Schumer. Here’s the thing. You know, you watch this stuff for a number of years, and you absorb it in different ways. For example, I just saw Chuck Schumer and his reaction to the election, and I’m telling you: 20 years ago, I would have been livid, and I’d have been showing up here and I’d have been reaming Chuck You Schumer and I’d have been reading the Riot Act. I can still do it, but it just seemed pathetic to me. It seemed formulaic. It seemed the kind of thing that ought to turn people off. It’s so banal, because it was so predictable. And he’s talking to a gaggle of reporters who are just like him. Supposedly, he’s talking to the media, but he’s not. 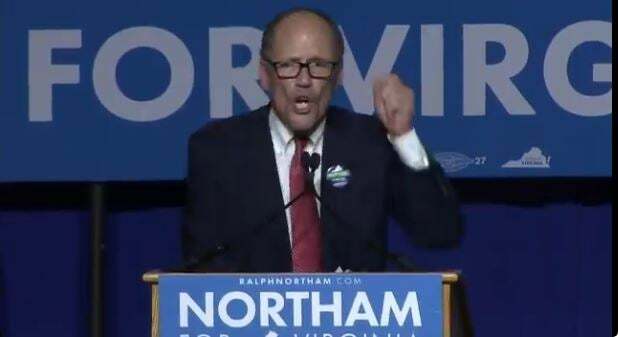 He’s talking to fellow members of the Democrat Party who are simply gonna go out there and transcribe his words and publish them as though they come from some great oracle when all it is is media messaging. Chuck Schumer is saying, “This was a profound election result. This was the rejection of Donald Trump personally, and this was the rejection of Donald Trump’s policies. This was a full-fledged and total rejection of Donald Trump.” Schumer said it in his own words, in his own ways. And, you know, just watching it, what else is he gonna say? There’s no attempt at any intellectual honesty. This was just pure party pap. It was what everybody would expect him to say. There wasn’t anything there that could be judged as enlightened or genuinely informative or even learned, and it’s so silly. If this was what Chuck Schumer says it is — and who is the message for? So he goes out… He’s a Senate leader, ranking Democrat leader in the Senate, and he goes out and mouths all these expected, formulaic things. For what purpose? Who is he trying to persuade? He’s not gonna persuade any Republicans that it’s over, other than the Republicans in Washington who already are seeing things the way he does. They set themselves up. What happens when they lose the next election if this was the total repudiation of Donald Trump, if this was the repudiation of Donald Trump personally and the repudiation of Donald Trump and his policies? You know, Republicans are gonna win elections again. Democrats are gonna lose election? What are they gonna say? I know they don’t care about that, not thinking about that right now. The media buddies they have will help them avoid any hypocrisy when the next event happens that they lose. And there will be plenty of those, because these people. Look, this was the state of Charlottesville and all of the riots that happened there. We had a candidate that really didn’t want to embrace Trump. We had a candidate from a party in Virginia that don’t really want to embrace Trump. And by Trump, I mean, the Trump agenda and Trump the outsider. So it’s not that big a deal. You could go into this election and your common sense would tell you that the odds are the Democrats should win this. I mean, this is a purple state to the point of being almost blue, and it is where a significant portion of the Washington establishment lives! Members of both parties. In the northern suburbs of Virginia, that’s the suburbs of Washington. To the extent that Virginia’s a red state, it’s all mid-state, down south. But the northern suburbs, it’s Washington, DC. It’s people that live, work, and breathe government. And there is no way that any of those people are gonna vote against a Democrat, pro-establishment. It just isn’t gonna happen. Those people are gonna circle the wagons. So this was not an unexpected result. What was hoped for was that we would be shocked again like we were on election night. The hope was that the ingredients were still in place that an uprising of Republican voters would shock and stun everybody. But there wasn’t an uprising of Republican voters. Why is that? Well, Donald Trump was nowhere on the ballot, and the Republicans in that state didn’t make an effort to put Donald Trump on the ballot. There wasn’t a resolute and emphatic embrace of the Trump presidency or any of the Trump agenda items, and you don’t need me to tell you that. You can simply look at what’s been happening in Congress and the House in Senate for the last year. I mean, really, we can’t repeal and replace Obamacare when we control everything? We can’t do it? (chuckling) Really? These things ought to be a slam-dunk, but they’re not. When the Republicans run the House of Representatives and the Republicans run the Senate, and when the Republicans in the House and the Senate cannot find a way to get rid of Obamacare, and when the Republicans in the House and Senate cannot find a way to make tax cuts happen and to make the tax code simple? I know they’re in the process here, but believe me: Look at the timeframe they’ve given themselves. It’s gonna be a record-short period of time if they get this done. Cut to the chase. What is there that has happened outside of Trump? What is there on the Republican side that would energize the Republican voter base? Now, the Republican Never Trumpers — and, of course, the Democrats will harp all over that. I mean, they’ll jump all over that and say, “That’s another indictment of Trump. I mean, okay, so the House and Senate Republicans aren’t energized anybody. Well, what about Trump? Why couldn’t he pull ’em out? “Why couldn’t he go in there and campaign and say, ‘Do it for me’? Why couldn’t Trump say, ‘I need these guys. I need this governor. I need these people.’ Why couldn’t he do that?” You’d have to ask him, but the point is it’s what it’s gonna take. It’s what it took the first time. Donald Trump won this election, the Republicans didn’t, and Donald Trump won this election by getting Democrat votes. How are we gonna take Democrat votes away from this Northam guy in Virginia with Trump nowhere near, not on the ballot, and not a single Republican on the ballot able to emulate him? How’s it gonna happen? It wasn’t gonna happen. 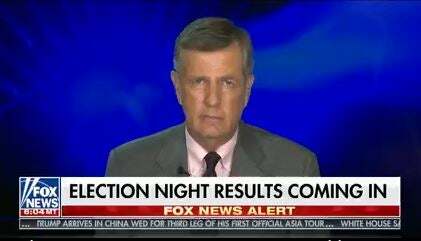 Like I say, there was a lot of… Because it did happen, shocked everybody on election night a year ago. Well, maybe lightning can strike twice. But at every event there’s always a teachable moment and an opportunity to learn something. In this, I think, it’s become more obvious — because it’s always been obvious to some degree. It’s become more obvious what needs to happen here. The Republican voter base has to become energized. They have to become motivated. They have to go vote. They have to get turned out. And I don’t care where you go; Republicans all across the country are sour on the Washington Republican Party. So we’ll see if the right lessons are learned and if we can get out of the self-defeating box that so many on our side happen to be in. A couple of more audio sound bites. Here is the unhinged new chairman of the Democrat National Committee. This is Obama’s old secretary of label. Name is Thomas Perez. This was at the victory celebration for Ralph Northam last night in Fairfax, Virginia. PEREZ: (screaming) America needs healers! Healers like Ralph Northam! We don’t need dividers like Donald Trump! You have sent a message across the globe, to South Korea! Donald Trump, you don’t stand for our values! The America that Donald Trump comes back to in a few days is far different than the America he left! RUSH: Really? He’s only been gone a couple/three days, he gonna come back to a brand-new America, totally different, constituted America? It isn’t gonna be a different America. But they can’t get Trump off the brain. If I were this Northam guy after half the night was over, I would ask these guys: Hey, do you guys realize I’m the one that won? Do you realize I was the one people voted for? Do you realize I was the guy on the ballot? “You keep talking about Trump this, Trump that, Trump this. You think Trump’s the only reason anything happens in our party, we win or we lose it’s ’cause of Trump?” These guys are so unhinged and off the mainstream center. And every bit of polling data out there hasn’t changed. The Democrat Party and the Republican Party are down so low in terms of reputation and approval numbers. The Democrats are in a sad-sack shape. The Republicans are no better, but we knew that. The ABC/Washington Post poll that we cited just yesterday said that if the election were held today and it was Hillary and Trump all over again, even after one year, Trump would still win if the election were done over today. Now, they’ve forgotten all of that, because, in their minds, Trump’s dead. They finished Trump off. It’s over. I mean, they’re practically back in the White House already. That’s the place they frequently occupy, this place of overconfidence. HUME: It looks like the political gravity, the unpopularity of Donald Trump, and the fact this is an off-year election with a first term in office, has won this race for Ralph Northam. RUSH: Trump’s unpopularity won it for Northam. There you have the Republican establishment speaking. Trump lost it. He also mentioned something else. Statistically it’s true. In off-year elections, the party out of power statistically always does better. It’s one of these crazy anomalies. It’s almost as though after a year there are enough people ticked off at the new president that they vote for the other party just because they do. The lone exception to that — and there’s been more than one — the lone exception to this rule in my lifetime has been 2002, when Republicans gained seats after George W. Bush was inaugurated in 2001. And it wasn’t ’cause of 9/11. I mean, partially, but it was because of the Wellstone memorial that the Democrats did. That just turned people off. And they’re still in that same mind-set and behavioral mode. BRAT: No. I think these results largely mirrored the presidential outcome from last time. We did not repeal Obamacare. People in Virginia right now are getting hit with 50% in the individual market premium increases, right? It’s Obamacare that’s still in place. And we don’t make that case. We failed to repeal Obamacare. That’s a colossal failure on our part, and so it is nationalized. RUSH: All right. Now, don’t forget, keep that in mind, because the next bite is from David Axelrod. He ran the Obama campaign. And he was on CNN election night coverage. And this is what he said about that. AXELROD: On this question of Trump, one of the most interesting things in this exit poll is when you said issues mattered most to you in your vote for governor, by far and away the most important issue of the health care. But health care wasn’t an issue in the governor’s race. 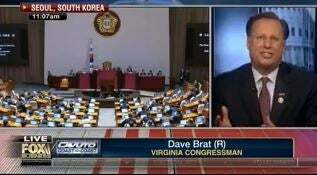 RUSH: Let’s go back to Dave Brat. I find this really curious. Dave Brat knows it’s Obamacare still in place. Virginia right now, 50% increases in the individual market premium prices. I mean, the prices are skyrocketing. It’s Obamacare. We didn’t repeal it. People are taking it out on us. His theory is that Northam won because the Republicans failed to repeal Obamacare, and Republican voters in Virginia said, “Screw it; why should we support you?” And so they didn’t show up. You get to Axelrod and the exit polls seem to indicate that Dave Brat’s right, but Axelrod’s totally confused because it wasn’t even an issue in the campaign. Neither candidate made it an issue. Okay. So where does the truth lie, then? Let me take you back to 2002. The very midterms I just described. You know what the exit polls after those midterms said was the number one reason people voted the way they did? But values had not been a part of the campaign. That was after 9/11, it was the Wellstone memorial. Now health care, Dave Brat, a Virginian, says this is the issue. If you want to know what issue drove this election, it’s health care. Axelrod, “But it wasn’t an issue.” Well, it was. Why? Here’s the question I have. If you’re mad at the Republicans for not repealing it, which I can totally understand, if you’re a Virginia Republican or Democrat Trump voter and you really expected Obamacare to be gone and it’s still there, I can understand maybe not voting Republican, but why vote for a Democrat who supports it, Northam? There’s some conflict here that’s gonna take some deciphering and for that we’re gonna need to know what voter turnout was. But it would be really curious here if Brat is right, that Obamacare was one of the stealth issues that was centrally important to a lot of voters that was never even mentioned by either candidate during the campaign. RUSH: Donald Trump became president when Virginia voted Democrat in 2016. Donald Trump is still president after Democrats won the day in Virginia in 2017. So what is this big change in America this lunatic Perez is talking about? One more sound bite. Charlie Rose on CBS This Morning talking to the Washington Post congressional reporter Ed O’Keefe about the election and what it meant. ROSE: Better to talk about issues like health care than to talk about anti-Trump things? 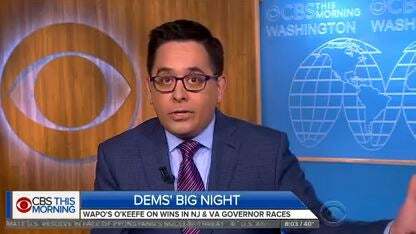 O’KEEFE: It appears to be, yes, Charlie, if you look especially at the results in Virginia last night, health care off the charts is the number one concern. Democrats have been saying that to us for weeks. It’s gonna be a motivating factor. The proof last night is that it really is. RUSH: Well, okay, fine and dandy, but as Axelrod said, neither of the candidates talked about it. So what about health care turned people out? What was it? Anger that Obamacare was not repealed? Who the hell could be voting for health care as it is now? What idiot would do that? What idiot would vote for health care with 50% premium increases? Northam wasn’t talking about fixing it. As Axelrod said, it wasn’t a huge issue.